I watch a lot of TV at the moment and there are some new shows on that I’ve been enjoying. There are also a number of great shows back with new seasons so I thought I’d write up some of what I’m watching. Mad Men’s back for its final season and it’s three episodes in. For those uninitiated or simply uninformed Mad Men charts the story of Don Draper, an advertising executive in New York in the sixties. 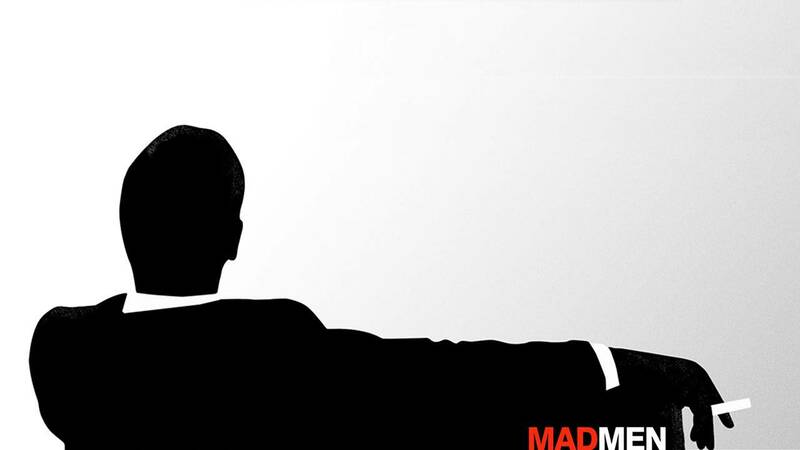 It’s not just about Don however and the multiple interlocking characters and their lives make Mad Men a pretty compelling drama series. Ragnar Lothbrok and his Viking war band provide a more realistic antidote to the Game of Thrones inspired feudal/medieval craze. There’s actually quite a few period pieces on TV currently but Vikings stands out with its unflinching account of Viking life. The History Channel’s first hour long drama series, its attention to detail and its realistic historical tropes mark Vikings out from the rest. HBO’s new half hour comedy series is set in Silicon Valley and follows a group of programmers beginning a start-up company. It’s a humorous show and one reminiscent of Entourage and it’s everything the IT Crowd should’ve been. Silicon Valley is perhaps the new show that I’ve enjoyed the most this season. Jamie Bell stars in AMC’s new flagship drama series Turn. Set in the days of the American Revolution, Turn charts the rise of the first colonial spy ring. It’s quite like Hell on Wheels and it’s a period piece that seems to fit in with current TV genre choices, but it’s well acted and well written. There is a good sense of pace to this show and it’s only a couple of episodes in. Perhaps not quite up to the same par as the above shows, or even Homeland, Crisis is a fun, if vacant hour of TV. The story is about a group of terrorists who have kidnapped the children of the world’s richest and most influential people. The terrorists are forcing these very powerful people to fulfill their demands in exchange for their children’s’ lives. This is high concept TV, not necessarily very good, but a lot of fun. This remake of the Coen brothers classic is off to a promising start. It remains to be seen, and I’m reserving judgement, if the TV show spin off is necessary however. It’s on FX in Justified’s slot and it looks set to become another exciting new drama series. Not much needs to be said about this show really and most of you are probably already watching it. It’s good however, and on TV right now and if you’ve not seen it you should probably get started. It’s in its fourth season and it’s about as addictive as TV gets. This is glossy, superficial TV and there’s little of substance or weight going for it. However it’s fun and at twenty minutes a go more than palatable. Hank Moody is a writer who does very little writing. He spends most of his days in a hedonistic haze and there’s something compelling about this show. This is about as low as TV comedy can get and its pretty much Jackass with better developed characters. The story is simple enough – three youngish guys who live together and work as telemarketers. None of them have ever grown up however and their day-to-day lives are disgusting, sometimes hilarious, and consistently dumb. This is a funny show and mostly much better than Community. I’ve yet to give this a go and I’ve heard pretty mixed reviews. There are two film remakes on this list, From Dusk till Dawn and Fargo, and it seems to be a new trend. There’s perhaps more potential to explore a story in television than in film but as to how necessary these remakes are I’m still undecided. I’ve watched every single episode of the Following and so (unfortunately) feel like a bit of an expert on the subject. This is a show to avoid and it’s got progressively worse as the series has progressed. Kevin Bacon stars as a maverick Jack Bauer inspired cop who’ll stop at nothing to catch a serial killer he’s obsessed with. The Following is poor TV and it’s a wonder the second season was ever commissioned. Fingers crossed season three never arrives – my biggest worry is that I’ll watch it.